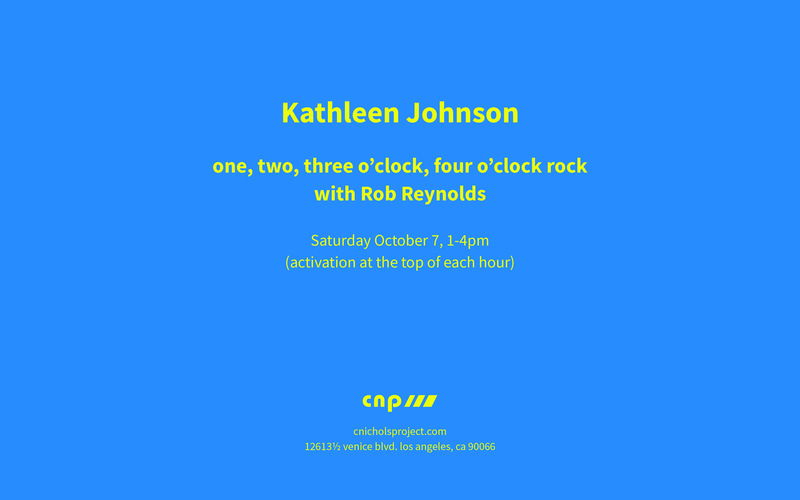 Johnson’s three-component “clock” at c. nichols project will be activated four times* at 1:00, 2:00, 3:00, and 4:00 pm on Saturday, October 7. Based on the opening line of Bill Haley’s iconic early rock ‘n’ roll teen anthem, Johnson’s one-day event will consider time in several manifestations—the brush’s passage through time, sonic time signatures, ice melt rates, and the optimal temperature of lemocello. One component of the project, four large-scale watercolors, will remain on view through October 21.